Yesterday I only had one class, but having to sit in the train for four hours, I always bring along far more books than neccesary, simply to be able to read some good books in the train. As a result, I always have three to four books in my schoolbag that have nothing to do with psychology (my main course at university.) 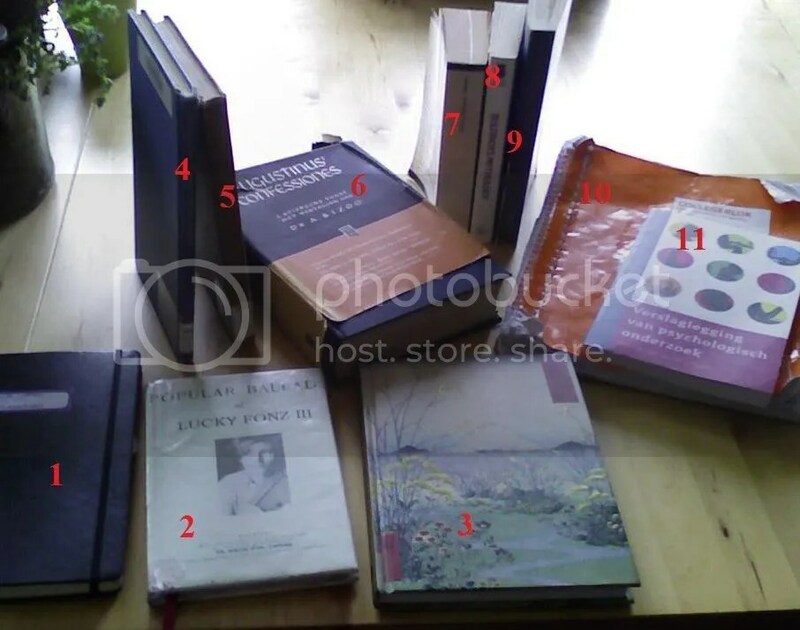 , and -on top of that- a journal and a notebook for short stories. It used to be worse, i used to have a larger bag and dragged along five to six non-psychology books. of course, my bag consequently is way too heavy so that i get shoulderaches and backaches, but I don’t mind :). 1) my notebook for my short fantasy stories (I called it “The Fantastic Tales/ Fantastiska Berättelser/ Fantastische verhalen). A friend of mine used a similar moleskine notebook, and that inspired me to write my short fantasy stories in such a notebook. All you need as a writer is a good notebook and a great fountain pen. 2) even though this “the popular ballads of Lucky Fonz III” looks like a book, this is actually my organizer. I made its cover resemble an old book cover, using an online version of the English and Scottish Popular Ballads (a.k.a. the Child Ballads) as a template. One day a university librarian mistook it for a library book, that made me very happy. Lucky Fonz III , who you can see on the cover, is an amazing Amsterdam singer-songwriter. 3) my journal. I used to keep my journal in the same notepad which I also used for keeping notes and writing short stories, but that made me need a new notepad every week, and i think writing your thoughts in a beautiful journal gives you a greater awareness of the fact that your thoughts are worthwhile. 4) Sylvia Plath’s poetry collection Crossing the Water , from my university library.Though I don’t think that the quality of a university depends entirely on its library, but I do think that a large library is a great asset for a university. These I dragged along to Amsterdam yesterday morning, along with two notepads and this little booklet about writing psychology papers (number 10 and 11). But after class I visited my best friend, we had a great time and walked around in the city where she lives a little, and we ended up in our favorite second-hand bookstore, and I found some real treasures there :). That’s why I came home with 6 non-psychology books, instead of the 3 I’d left home with :). 7) E.T.A. Hoffmann’s Märchen : wonderfully weird fairytales. 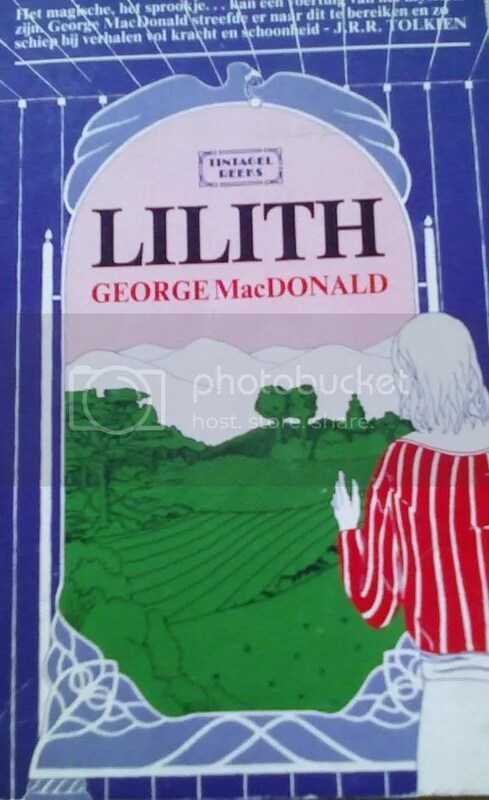 9) George MacDonald’s Lilith : Finding this book made me go “sqeee!”, cuz I’ve been looking for this dutch translation everywhere for a few years now, since I found this dutch version of Phantastes. 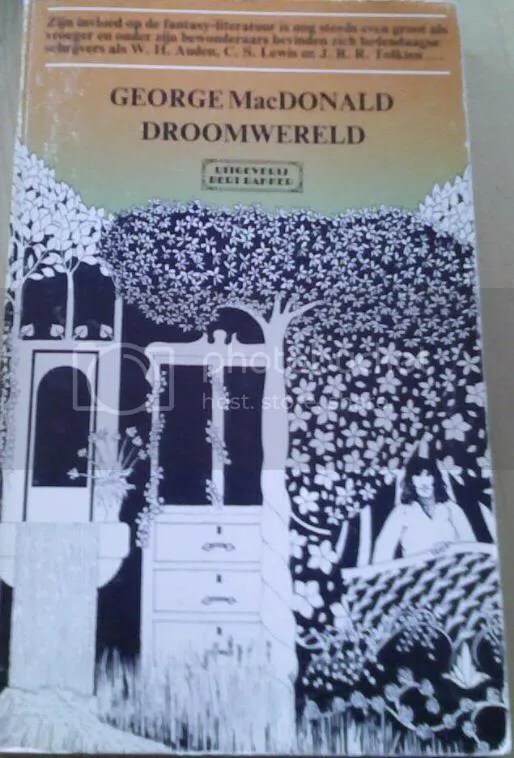 The title Phantastes is translated as “Droomwereld”, literally “dream world”. These dutch translations were published in 1974 and 1975 (though they were written in the 19th century) so they’re wonderfully hippie-esque, and you can tell that their covers are inspired by Harry Clarke‘s art. They’re so pretty !! Like all of George MacDonald’s books, they’re quite unique, unusual and enchanting. How cool is it that it says “Voor Guusje, van Ab”? ( FYI: that means “To Guusje, from Ab”; Guusje is a girl’s name.) That tiny inscription is just an entire story in itself. It makes you wonder “who were those people? What happened to them? 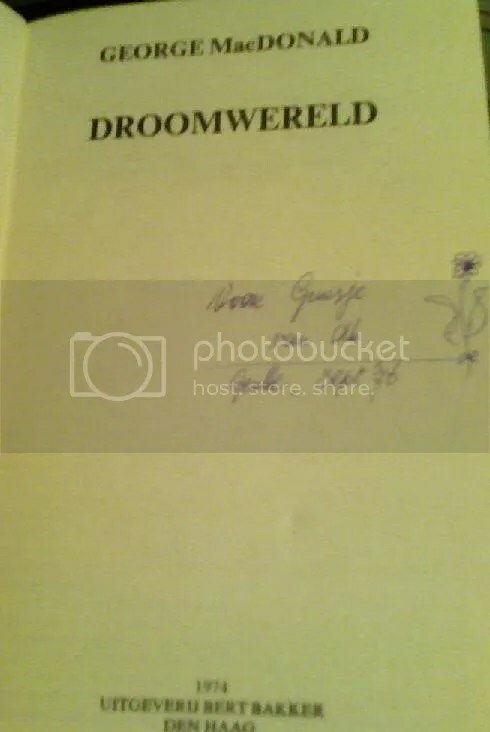 He must have liked her, you can tell by the little flower doodle.” A second-hand book with its inscriptions, dedications, scribbles in the margins and stains often is a text in itself, and that’s why you can’t help liking second-hand books a lot.